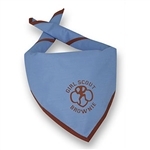 Girl Scout Brownie uniform neck tie. Back snap adjusts size. Single snap front closure. 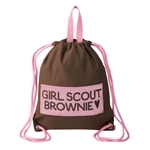 Tie reads Girl Scout Brownie. Cotton. Imported. Attention Brownies! Complement your uniform with this official scarf. 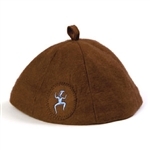 It can be knotted or held in place with an official scarf slide - Sold separately. 29 1/2" x 20" x 20". Polyester/cotton poplin. Imported. Double zipper bag designed just for Daisies.